If you applied or are planning to apply to become a P-Rep, it’s possible that ICONists — anyone who holds $ICX — might not know who you are yet. As with any election, every vote matters, and to earn that vote, the ICONist needs to trust you. As a P-Rep, your responsibility is to not only to manage and protect the ICON Network, but also to propose polices and to vote for policies (transaction fees, decision-making processes, rewards distribution, etc.) all of which should maximize the overall interests of ICONists and the ICON Network. In short, ICONists need to trust that you will be a Representative who will be for the betterment for the entire ICON Network. You earn trust from ICONists by consistently showing that you consider and respect community members thoughts, and are committed to enhancing the ICON Network over time. Communication and transparency are key to doing this. If you are a candidate, based on your proposal and background in your application, ICONists may feel like you are running as a P-Rep without the honest intentions of holding ICONists interests in mind. Be ready to persuade us otherwise. Establishing a positive community presence in ICON’s social channels is essential to building trust and earning votes. ICONists from all over the world have been engaging in these communities, such as Telegram and reddit, to discuss the ICON Project. If you’re a P-Rep candidate that has already been active in the community before the election process, you’re off to a good start. However, it’s not too late to make yourself known for those just getting involved with the community now. Start engaging with community members, be open about who you are and why exactly we should support you, and explain what you bring to the table that helps differentiate yourself from other candidates. Release content to the community that dives into the details and specifics of your proposal. Hold an AMA (Ask Me Anything) to answer questions, address concerns, receive feedback and improve upon it, and allow ICONists to engage with you on a more personal level. Be as unique and creative as can with your public relations and campaign process because there is no perfect template to follow. Remember to really drive home the value ICONists will gain by voting for you. It’ll require a lot of time, effort, and dedication to successfully demonstrate to ICONists that you are committed to maximizing the overall interests of ICONists and the ICON Network, so don’t just phone it in. 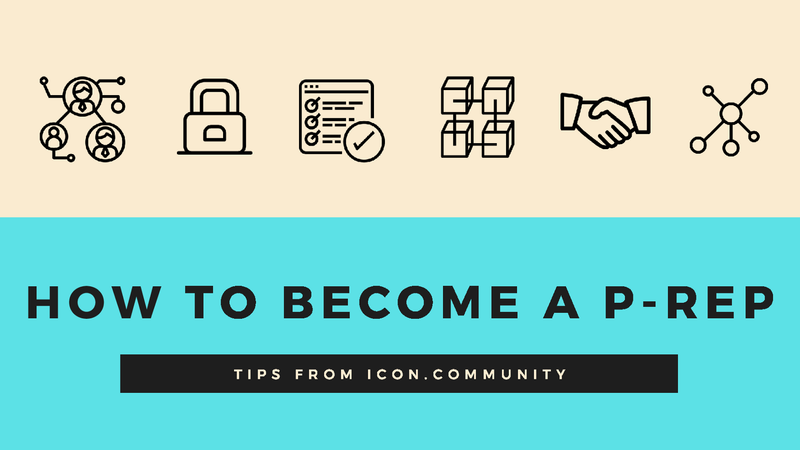 Register as a candidate, review proposals, receive the latest news, and learn more about ICONSENSUS at the icon.community website.